I traipsed down to my local bijou, now with reserved seating, beer, wine, and trendy entrées, and ensconced myself into a leather (or faux-leather) recliner. Ah, capitalism that has such amenities. I must say, the Black Butte Porter on tap was tasty, even if served in a clear plastic cup. But I digress. I was a tad concerned, before the new Coen brothers’ film began, by the gentleman seated next to me. He snickered, chortled, and guffawed at every obvious joke in every tedious commercial and trailer, including the M&Ms commercials. Good thing Dirty Grandpa‘s been relegated to the ash heap of cinema history, or he’d have split a gut. 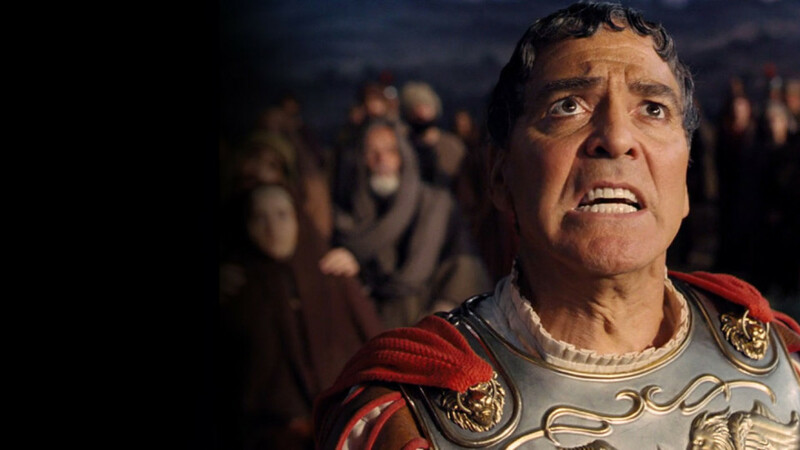 He fell silent during Hail, Caesar! Probably too subtle for him.